Square Enix never seems to shy away from cross over promotions – although, most of them involve another creator’s work appearing in games like Final Fantasy Brave Exvius or their MMORPG Final Fantasy XIV. This is however not the case with Final Fantasy XV protagonist Nocts Lucis Caelum’s appearance in Namco Bandai’s Tekken 7. 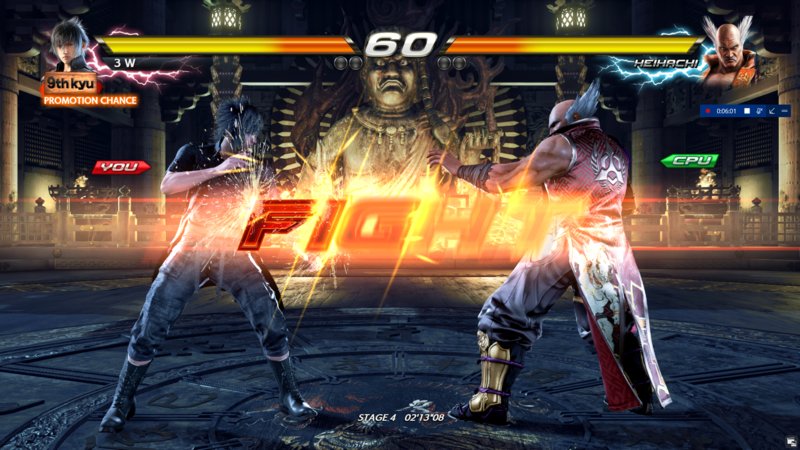 Over GDC week Noctis was released as part of a $20CDN add-on pack for all versions of Tekken 7. With the majority of GDC related work I finally got the chance to check him out. For this brief 10 minute gameplay video I did a single run of arcade mode with Noctis completely blind. So, yes, this means for the most part I’m button mashing until I got the hang of some of his moves – like the signature Warp Strike. Namco did a commendable job adapting Noctis’ flowing combat style to the world of Tekken without completely breaking the combo-heavy grounded combat despite the fact they’ve introduced an RPG protagonist known for his love of heights. Also included in the Noctis DLC pack was a stage based upon Hammerhead Junction from Final Fantasy XV but it’s not included in the embedded video.